Multiple sclerosis is a debilitating condition that can gradually take away a person’s ability to handle everyday activities. It can be especially upsetting to a family when one member is affected. Long testing periods leading up to a diagnosis can be very stressful, leading to things such as sleepless nights, feelings of hopelessness, and even fights among family members as tensions rise. Hopefully, understanding more about the condition and knowing that help exists will relieve some of the stress. The myelin sheath is responsible for protecting the nerve cells. When a person suffers from MS, that covering is damaged, and this results in a slowing down of the body’s nerve signals. As a result, communication between the brain and body suffers. When this communication slows down, the outward symptoms of MS are the result. Unfortunately, there are numerous conditions that can cause similar symptoms resulting in a long process of ruling out other conditions in order to get an official diagnosis. This can be the most frustrating part of the battle. However, whether you have a diagnosis yet or not, there is something you can do help your body’s internal communication system. When a person is suffering from MS, having the brain and body communicate optimally is critical. Another factor that can affect this communication is an upper cervical subluxation, which can put pressure on the brainstem and restrict the proper flow of fluids such as a blood and cerebrospinal fluid. By identifying and correcting these misalignments, an upper cervical chiropractor can provide many potential benefits. 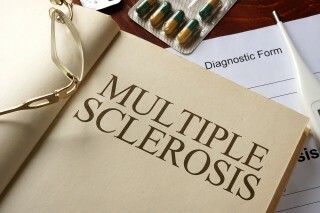 Among these may be decreased symptom severity or fewer flare-ups of chronic conditions like MS. If you are suffering from such a chronic condition, especially if you have a history of head or neck trauma that could have caused a misalignment, a consultation may be your first step on the road to being more active again.